Test your wine knowledge today, with a few wine myths shattered by Master of Wine Peter-Scudamore-Smith. See if you can guess what’s fact and fiction! Well that’s nineteen fifties thinking. We are now in the new millennium! Not always! It may often be the case, is often the case, but the price of wine is determined by a whole lot of factors. Fruit quality, location, bottle aging, fashion, packaging and even wine marketing strategies can influence price. Wines from less familiar grapes, places, and producers—especially imported wines—can offer impressive quality without hurting your hip pocket. Famous wines such as Grange with high prices have this standing for several reasons—market respect, industry awards, critical review, demand, rarity, cellaring potential and consistency of vintages. Not at a BBQ on a hot day! It’s wine, not holy water, and necessity is the mother of all invention. What would you rather, warm wine, cold wine or no wine at all? These days, I only use champagne glasses at home for serving dessert wines. I find they concentrate the bubbles too much and you end up with is a nostril full of fizz, you can’t smell the aromas. Better to use an ordinary wine glass—you get much more pleasure from the smell of the sparkling. Most Australian regions have repetitively planted imported varieties originating in the cold and cool regions of Europeover the past 180 years. Take riesling, semillon, sauvignon blanc, chardonnay, pinot noir, merlot, cabernet sauvignon, petit verdot and others. As climate change is biting harder, it has become more difficult to ripen these, and very easy to ripen varieties from the Mediterranean rim. Queensland regions have struck a more even playing field with varieties such as verdelho, fiano, vermentino, viognier, nero d’avola, durif, barbera, tempranillo, graciano, tannat, sagrantino, saperavi and many more being established. There are now a number of regions in Queensland delivering really good wine: South Burnett, Sunshine Coast Hinterland, Scenic Rim, Somerset and theDarling Downs. The Granite Belt has altitude and latitude and is nowadays making great wine to critical acclaim. James Halliday awarded Boireann Wines, Golden Grove Estate, Symphony Hill Wines and Sirromet Wines (Mt Cotton cellar door) the prestigious 5 star winery award. Not far behind with four stars were Ballandean Estate, Harrington Glen Estate, Ridgemill Estate, Tobin Wines and Twisted Gum Vineyards. Golden Grove Estate was also one of the Top 10 Dark Horses in James Halliday’s 2014 edition. Depends what the room temperature is! Red wine is best at 15 to 18 degrees. Now “room temperature” in Australia can be anywhere from 1 degree to upwards of 40 degrees. Too often red wine is served warm so that it tastes soupy and indistinct. Pop it in the fridge for a while in summer and see the difference. Untrue. There’s an unfair chauvinistic stigma attached to blends, and it stems from the European DOCGhierarchicalestorie. Yet any single variety from DOC estatesmay contain up to 15% of another without declaration. Haughty thinking is still around, as most generically made wines are blends. But to dismiss blended wine is to dismiss history: so many old world vineyards have been planted with “field blends”; shiraz and viognier are very common in the Cote Rotie in the northern Rhone. very common. Why the award winning St Henri Claret, produced since 1911, is a perfect example of a great shiraz cabernet field blend. The Americans led the new world renaissance of planting fields with single varietals. Blending can make wines more complex: it’s is used to maximize the expression of a wine. It can enhance aromas, colour, texture, body and finish, making it a better-rounded and complex wine. M Chapoutier, Hermitage Hill blended planting. 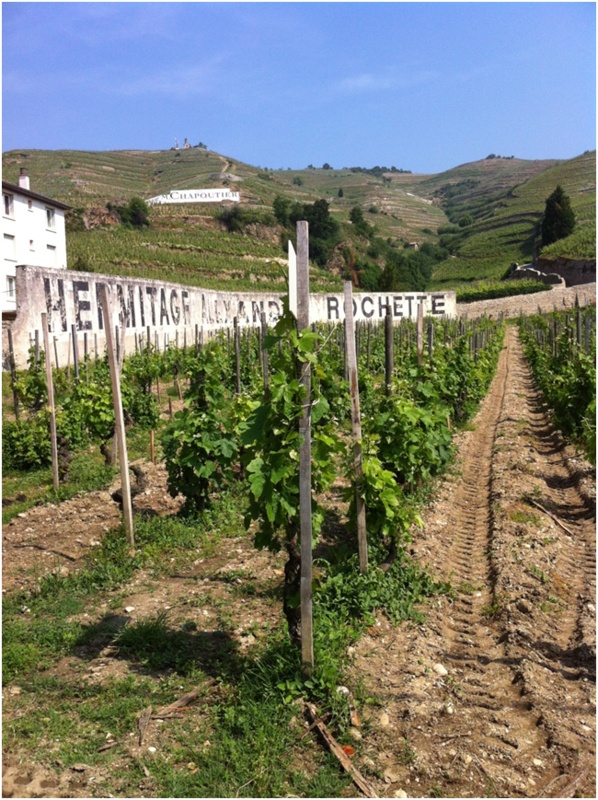 These syrah vines are over 60 years old, and contain in part marsanne vines as well. Red wine oxygenates and spoils the day after it’s opened. Only leftover white wine should be refrigerated. Cold acts as a preservative as much for red as it does for white. It’s still best to consume wine as soon as possible after opening. Screwcapped wines can age just as well as wines finished with a cork. Quality control is much easier with screwcapped wines. Up to ten percent of wines are spoilt by faulty cork. Become a student of wine first before even attempting to make a judgement call on this. The definition of age is important. Legs, the streaks that run down the glass are actually indications of viscosity. This relates to the wine’s alcohol content. The higher the alcohol, the fatter the legs. Nothing to do with quality! We often have idyllic dreams of boutique wineries, especially those that are family-run and steeped in history. But does that give us the right to assume the wine produced at boutique wineries is more “authentic”? Not necessarily. You see, boutique wineries make wines in small lots, often focused on particular vineyards or parcels of fruit. But are such wines really better, or just different? Fewer boutique producers win wine trophies. The bigger wine producers have access to large production resources, winemaker, and economies of scale. This is reflected in their trophy winning wines. As for marketing, Grange-Penfolds for example invests heavily to further the image and quality of its globally-respected wine. Yet there is something to be said for a sense of place and the memories triggered by cracking a bottle bought at a cellar door where you met the winemaker in the flesh and enjoyed a yarn. Depends on your palate, really! 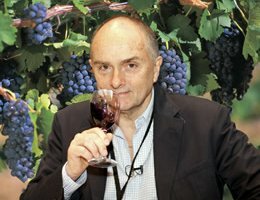 Uncorked and Cultivated is an Australian wine consultancy founded by acclaimed Master of Wine Peter Scudamore-Smith. Based in Brisbane,the company specialises in vineyard establishment, wine making, wine education, wine tours and wine writing.